As the temperatures rise, it can be a challenge for pets and their people to stay cool. Of course, there’s always ice cream! While some dogs do just fine with their people’s sweet treat, why not try one of the suggestions below to avoid tummy troubles all together! 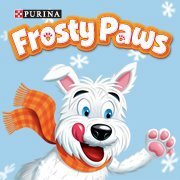 For the canine in your life, try Frosty Paws (available in vanilla or peanut butter) or Yoghund (available in apple cheddar or papaya peanut butter)! Found in most local grocer’s freezer sections, these treats come in packages of four for less than $5.00! It’s fun watching your pal get to the bottom of the cup! Cats also love a cool treat: Try freezing ice-cube size portions of their favorite wet food! Or, drop a few ice cubes in their water dish! Next post: Into the Park! Previous post: Let’s Take the Dog Out in Monmouth County!